EFF: Which Service Providers Side With Users in IP Disputes? 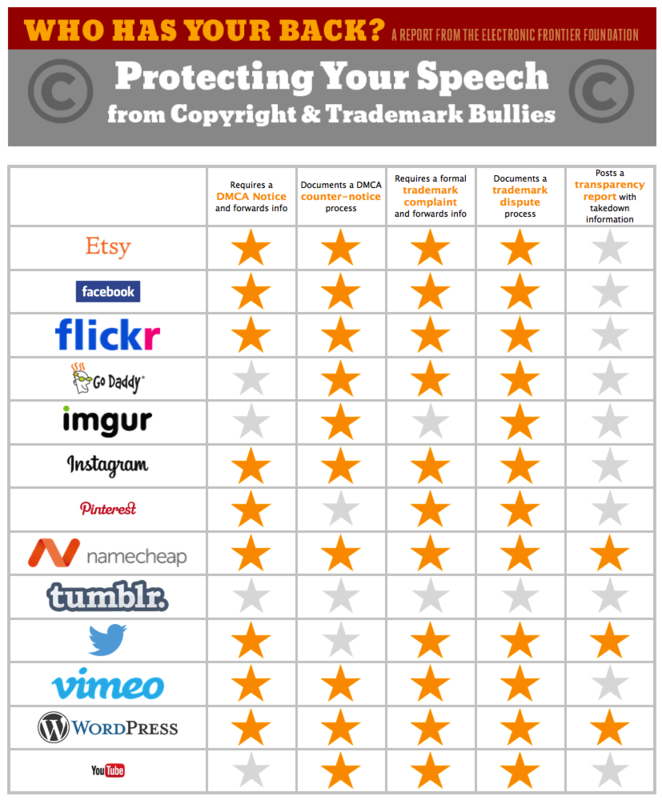 San Francisco – The Electronic Frontier Foundation (EFF) today released a new report and scorecard that shows what online service providers are doing to protect users from baseless copyright and trademark complaints. “Who Has Your Back: When Copyright and Trademark Bullies Threaten Free Speech” examines how online service providers handle copyright and trademark-based takedown requests. The report expands upon EFF’s influential “Who Has Your Back” annual report covering how online service providers protect users’ data from government requests.